Skylark Blog: Can I start dating during my divorce? There are two ways to ask this question: Can I start dating while my divorce case is pending? and Should I start dating while my divorce case is pending? From a technical legal standpoint, adultery in Massachusetts is still a crime. Although it is almost never prosecuted it is important to note that if you engage in an intimate relationship while still married you are technically violating Massachusetts law and this could be brought up in your divorce case. From a more practical standpoint, as many of my clients have heard, I have a saying that goes "Don't live your life for your divorce case." By that I mean that you have to still live your life and make choices that are good for you, and not just good for your divorce case. But you also have to recognize that choices have consequences. In this instance if you have met someone who truly makes your life better, I don't believe it is my place as your attorney to tell you that you shouldn't pursue that relationship. 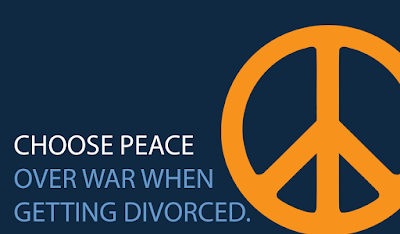 However, you should be aware of the potential consequences so that you can make an informed decision about whether it would be more prudent to wait until the divorce process is over. You can minimize the potential consequences through the use of common sense. For example, one possible consequence of starting a relationship is the emotional impact on your spouse. As discussed in a previous post, the discovery of an extra-marital relationship can cause some people to become very upset, becoming more difficult to deal with and sometimes even impossible to settle with. You can mitigate this possibility by being discreet, and not rubbing the new relationship in your spouse's face (for instance by bringing the new significant other to court with you). Another example relates to the finances. Any funds spent with or for a dating relationship during a divorce process could be seen as wasting of marital assets and will likely become an issue in the division of assets. Similarly if support is an issue any funds that can be spent on a dating relationship could arguably be available for support of your former spouse. You can minimize this issue by not spending any money on the new relationship until after the divorce is final. Finally, if you have children, whether or not you choose to start a new relationship during the divorce process or afterwards you should give special consideration to how this will affect your children. It is universally accepted that introducing anyone new to your children at the early stages of a relationship is not healthy for the children, especially if the likelihood is that many such relationships will not work out. In addition, trying to introduce anyone to the children (even someone you are serious about) during the divorce process can be traumatic because the children are already dealing with a significant transition in their lives. If you are not sure the best way to handle introducing children to a significant other when they become significant, you should consult with a trained professional such as a psychologist or psychiatrist. I think dating is only right for those who have attained a level of mental and emotional maturity. I also believe in dating when it has prospects- that is when it can lead to possible marriage. if you are not interested in marrying someone why waste your time and resources?